The New Year offers you a fresh start. It’s a great time of year to develop new habits, including making a financial resolution to get your house in order. Not sure where to start? 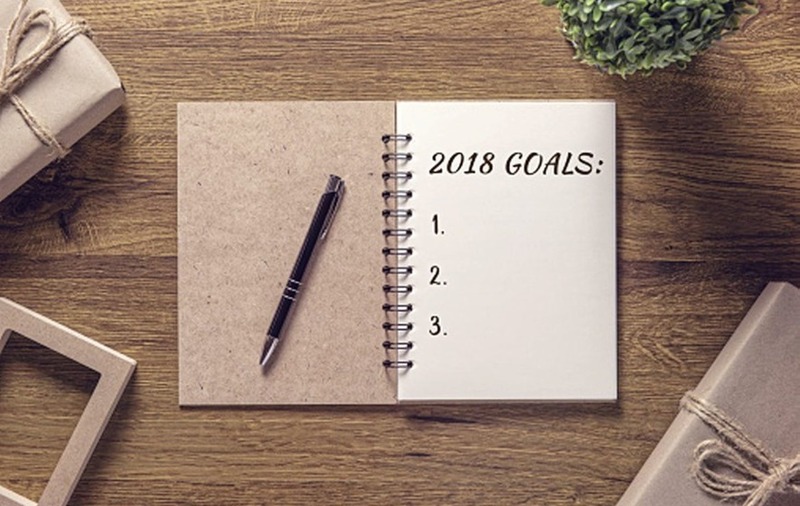 Make this your mandatory 2018 financial resolution list: creating a budget, starting an emergency savings account, planning for retirement, talking to a financial advisor. We hope you haven’t given up on the idea of making resolutions. We know the pattern: gung-ho on January 2nd and back to life as usual before January 30th. However, when you make a plan for financial security, your resolution will reward you as you follow through on it. United Financial can help you get started, and we’ll help keep you motivated throughout the year. There’s no time like the present, so let’s get started! You don’t have to be a computer nerd or a CPA to use our BudgetSmart software program. Simply download the program and you’ll soon be on your way to creating a budget custom-made for you. This gives you a great start on making your financial resolution a reality. If your eyes glaze over at the sight of rows and columns of numbers, fear not! BudgetSmart presents the information you need in the form of graphics and bar charts that help you visualize where your budget stands. And that’s just the beginning. BudgetSmart walks you through the process of setting up a budget. Pop-up boxes will offer you tips and information to help you account for all your sources of income and all your expenditures. Because a budget is only as good as your effort to follow it, BudgetSmart helps you track your spending and saving habits. With that knowledge, the software can offer tips to help you trim your splurging and encourage additional saving. BudgetSmart is truly smart. It not only reports on your spending and saving history, but it can also tell you what your finances could be. Why guess what the impact of a change in your finances might be when BudgetSmart can show you? How does it work? Check out BudgetSmart’s “what if” scenarios. Are your car repair bills mounting? Should you consider buying a new car? How will it impact your budget? Wonder no more! BudgetSmart takes your information and gives you an answer. No crystal ball involved! Using BudgetSmart throughout the year will make keeping this financial resolution easy. You’ll get hooked on tracking your spending and watching your personal finances grow. Stuff happens. You don’t know what your next emergency will be or when it will strike. You can bet that something is bound to go wrong sometime, and it’s going to cost a lot—whether it’s a leaking roof, car accident, or the loss of a job. Your plan for financial security needs some funds tucked away for life’s emergencies. Gone are the days of keeping a few dollars in the cookie jar or under the mattress. You need quick access to the money when you need it, but it should also be “out of sight, out of mind” to prevent spending it on non-emergencies. United Financial offers three options for savings beyond our Savings account: Special Savings, Grand Account, or Money Maker Account. One of them should work for your emergency savings. Special Savings. Whatever you name your Savings subaccount, it will bear interest. So call it your Rainy Day Fund or Emergency Piggy Bank. Your money will make money and it will be there when you truly need it. Grand Account. You put money in and withdraw it a thousand dollars at a time or in multiples of a grand. You earn higher dividends, which are deposited monthly to your Savings account. Money Maker Account. This account is designed to make you money. It pays a higher interest rate based on your balance, so the more you save, the more quickly your savings grow. An emergency savings account means you won’t have to hock your belongings, raid your children’s college fund, or borrow against your retirement when life throws you a curve. Keeping this financial resolution will bring you peace of mind, knowing you’ll be able to meet life’s emergencies. Regardless of your age, you might be dreaming of what you’ll do when you retire. However, to retire on your own terms, you need to plan for financial security now. Your nest egg needs time to grow, and you want to diversify the eggs in that nest. You contribute to social security with every paycheck, and perhaps you’re also building a pension through your employer or contributing to a 401k. That’s a great start, but it can be smart to invest some of your earnings in either a traditional or Roth IRA as well. Traditional IRA. Individual Retirement Accounts have tax benefits. Your contributions are tax deferred and may be tax deductible. Like your other accounts at United Financial, your IRA is insured up to $250,000. Longer-term certificates can potentially provide higher dividends, so discuss your options with one of our financial advisors. Roth IRA. If you need more flexibility, a Roth IRA doesn’t have an age limit for distributions. As long as you meet certain distribution requirements, you can withdraw funds without penalty or without being taxed. Your Roth IRA is also insured up to $250,000. Diversifying your retirement nest egg with either a traditional or Roth IRA can help you build financial security. United Financial’s advisors have the expertise to help you weigh which option or combination of retirement accounts will best suit your needs. Whether you’re a student working your way through college, a small business owner, or a new retiree—in short, whatever your age or stage of life and career—you need financial advice. Your circumstances change, and your financial needs change with them. A plan for financial security doesn’t just magically happen. You could wing it, or you could read books and pick a plan. Maybe you’ll get lucky. Or maybe you should consult one of our registered, licensed financial planners. Together, you and your financial advisor will put together a written plan that addresses your specific needs, not some generic plan for the average Joe. You have a new bundle of joy. What will tuition cost be when the little one heads off to college? You thought you were retiring to Florida, but now you’re raising your grandchild. How do you redirect your finances? You unexpectedly inherited a windfall from Great Uncle Charlie. You never thought you would have funds to invest in stocks, but maybe now you could. How do you decide what to invest in? Your business is booming. Should you open a second shop? You could use a sounding board with better business knowledge than your brother-in-law. At United Financial Credit Union, you don’t have to go it alone. You can connect with our partners at MEMBERS Financial Services. You’ll speak with a real person who can answer your questions. Making a resolution to talk to a financial advisor makes sense for anyone who has money. It is possible to make and keep your financial resolutions because United Financial Credit Union has your back. Stop into any of our offices or call to schedule a consultation. Have a question? Contact us for a quick reply. You can rely on us to be with you every step of the way to help you keep your financial resolution! However, when it comes to keeping diet and exercise resolutions? You’re on your own.